A few days ago I found a shoe that I had almost forgot about. I say almost because as soon as I saw it I was taken back to a wonderful memory of when I first saw the shoe. 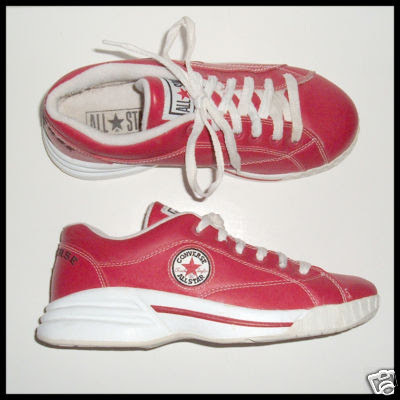 I am talking about today's Friday Flashback the Converse A-Train. 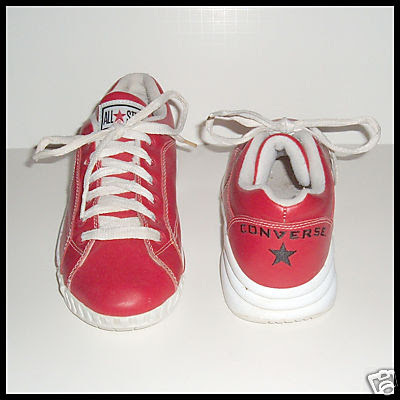 It all kind of runs together, but I am pretty sure that these came out before the more popular Converse Cynch. I was in Indianapolis going to a Dolphins and Colts game when I found these in a mall. 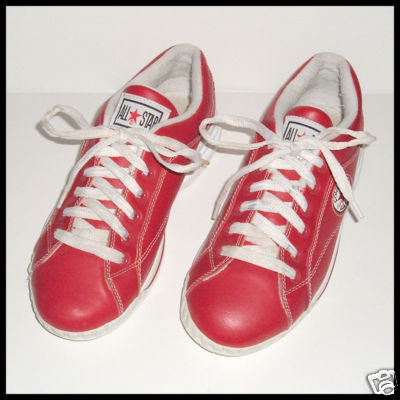 I bought up a pair right quick, except mine was in a white colorway, but you get the idea from this Red/White/Blue colorway. I can't remember who posted these up on eBay but thank you for the pics and the memories. Just a few more days until the draft, but there is plenty of time to vote in the current poll at the top of the page...I'll wait...go ahead...thank you. Also follow us at Twitter, which I'll be updating while I am away.